Fat Cat has broken out from prison and flicked the Urn of the Pharaoh. 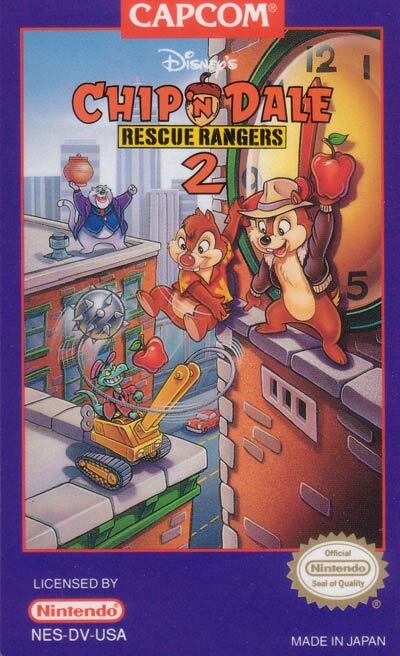 Chip and Dale must assemble the Rescue Rangers and try to recover the urn. They must explore eight levels that include a downtown restaurant, a giant refrigerator, a haunted warehouse, and Fat Cats secret headquarters. Based on the Disney animated series; eight levels; unique challenges and enemies; variety of secret areas; two-player simultaneous support.